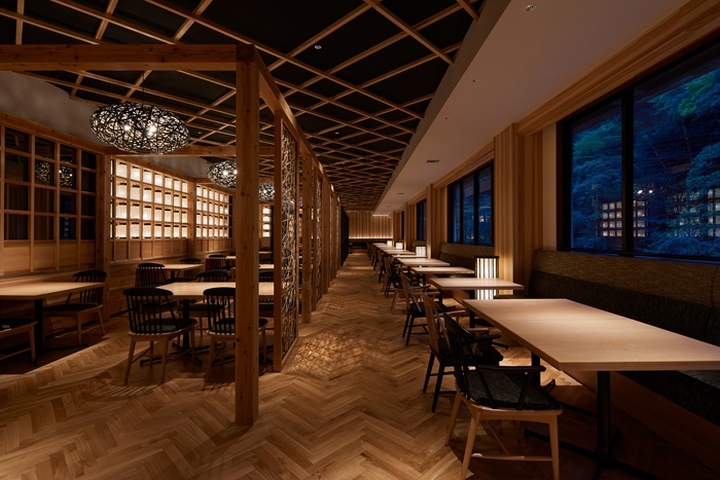 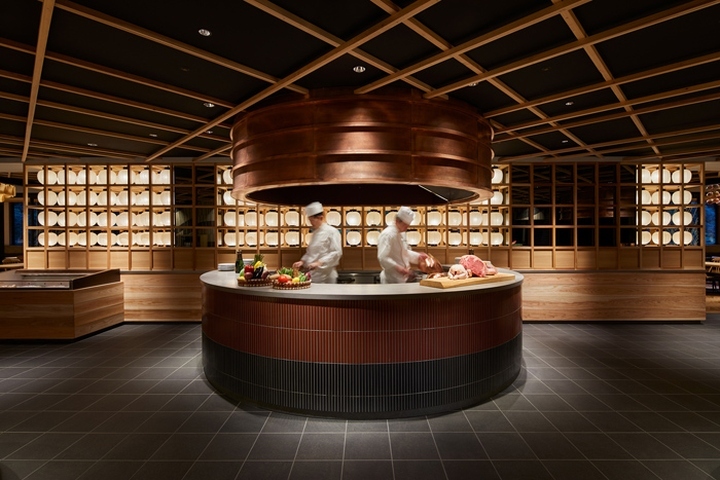 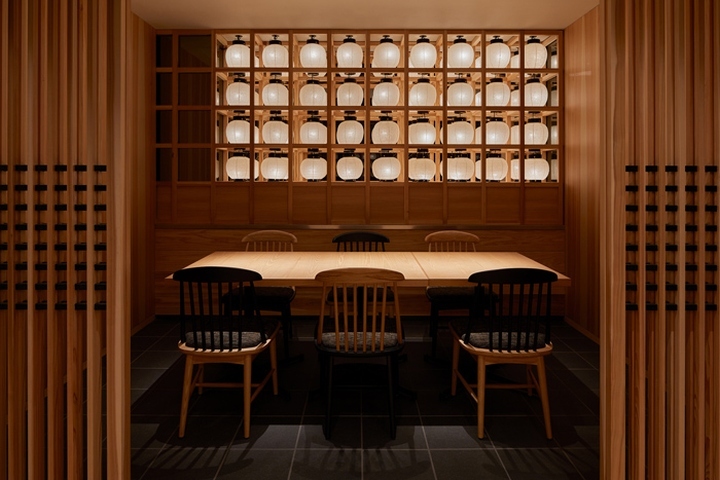 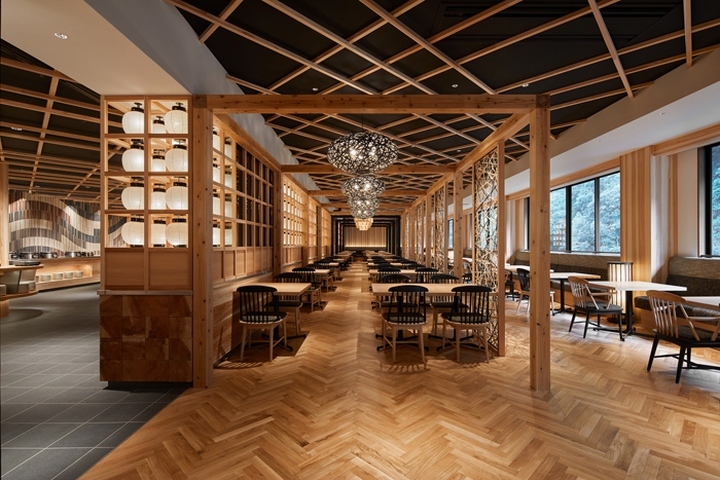 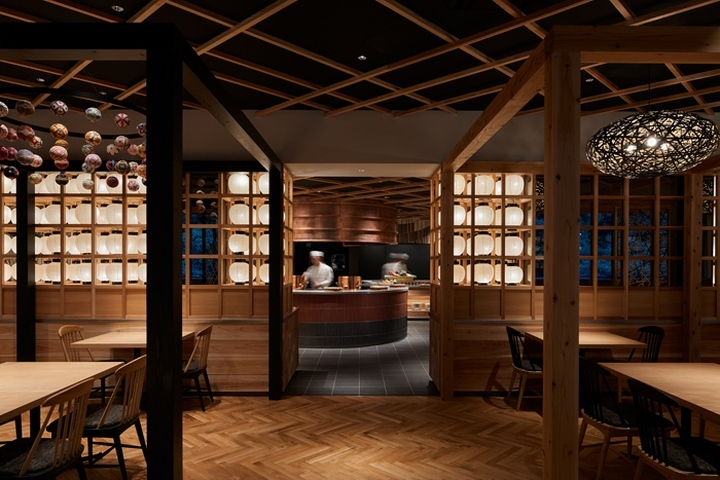 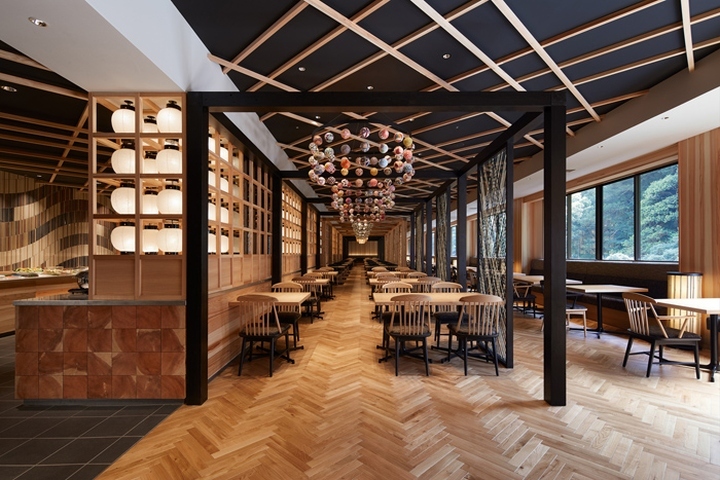 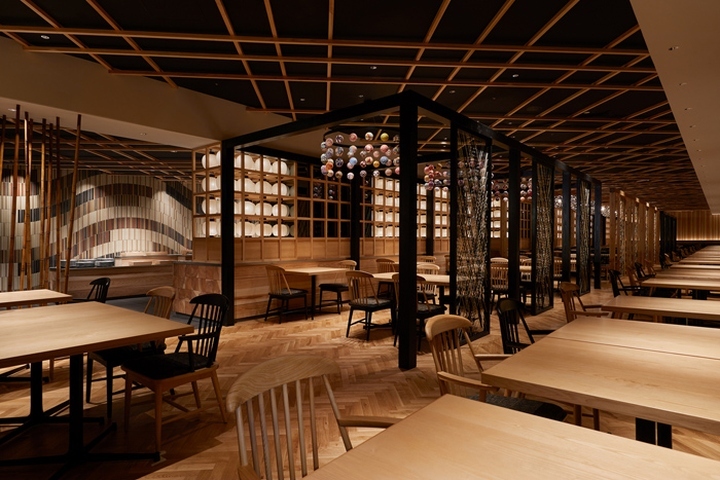 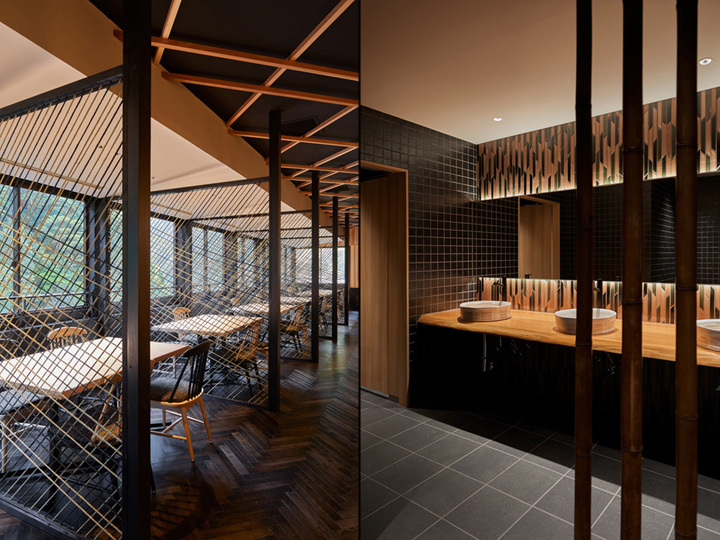 “Yaorozu Dining” is a newly opened buffet restaurant at Hizenya hotel in Tsuetate Onsen (Hot-spring spa resort). 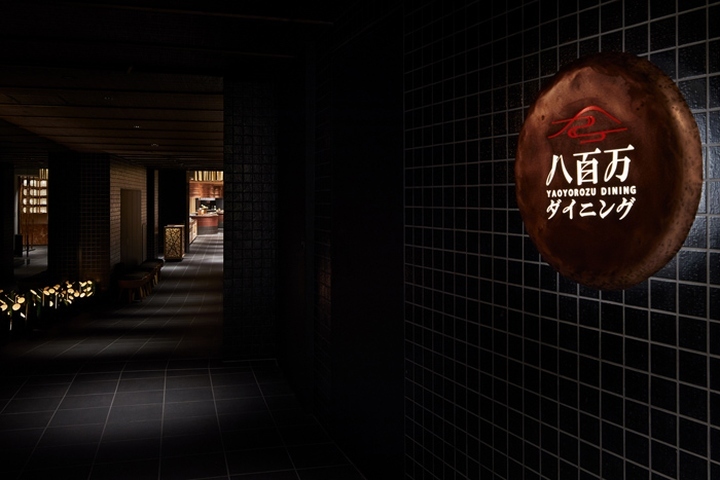 The Tsuetate Onsen is located in the center of three prefectures (Fukuoka, Kumamoto, Oita) in Kyushu Island of Japan, and Hizenya is uniquely just on the border between Kumamoto and Oita. 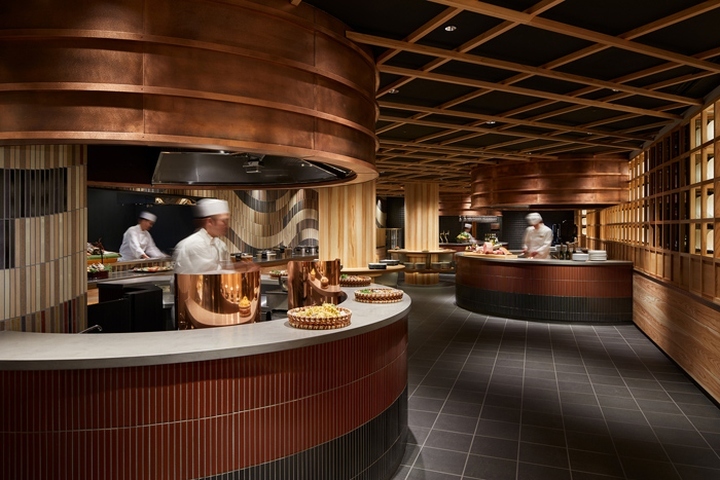 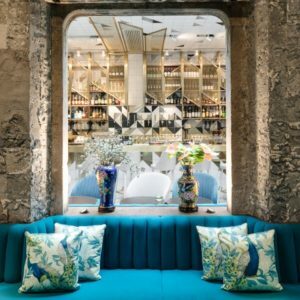 The restaurant is approximately 1,000 square meters and has a entrance area, buffet area, two open dining areas and one private dining areas. 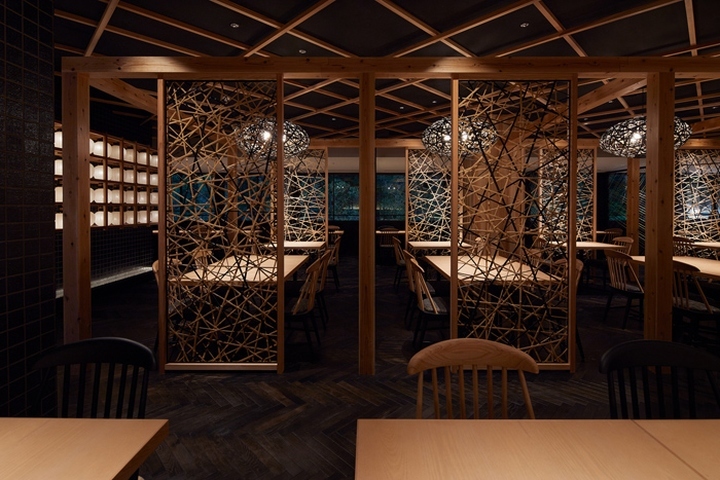 The design features its uniqueness of its location standing on the border between Kumamoto and Oita by furnishing those areas with their traditional handicraft and technique of the two prefectures. 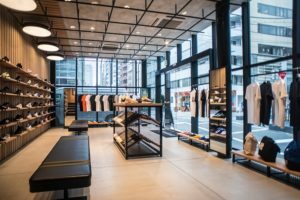 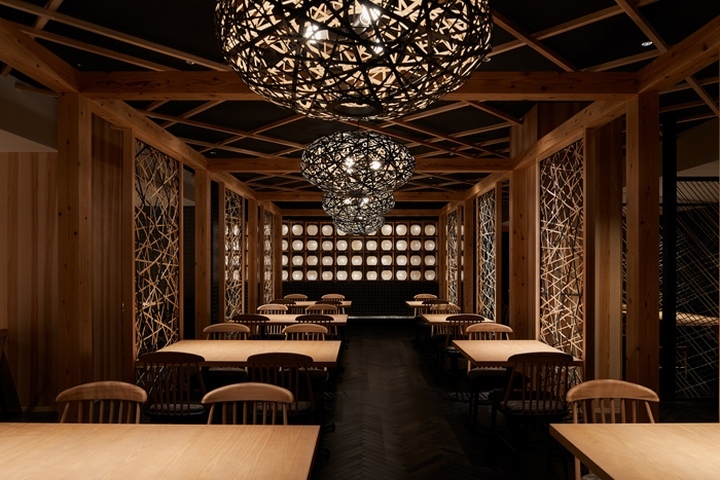 On Kumamoto side, there are the fixtures made of Oguni cedar, the lights crafted with Higo balls and Kutami fans as well as the partitions weaved with Kumamoto igusa. 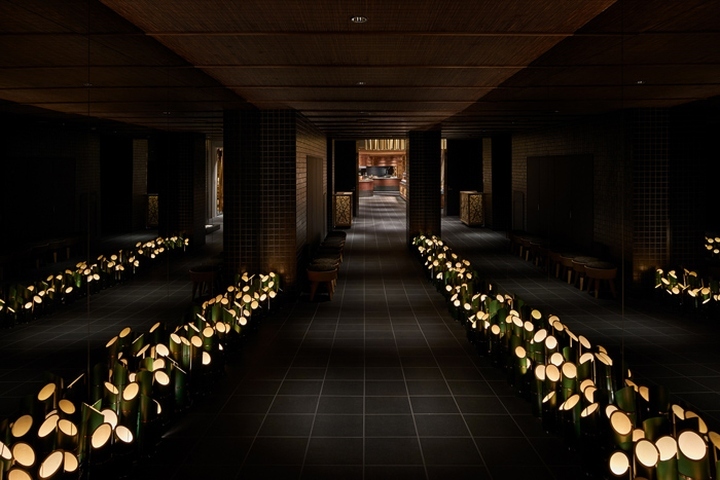 On Oita side, it has the bamboo lanterns at entrance area, the bamboo fitted lamps and partition. 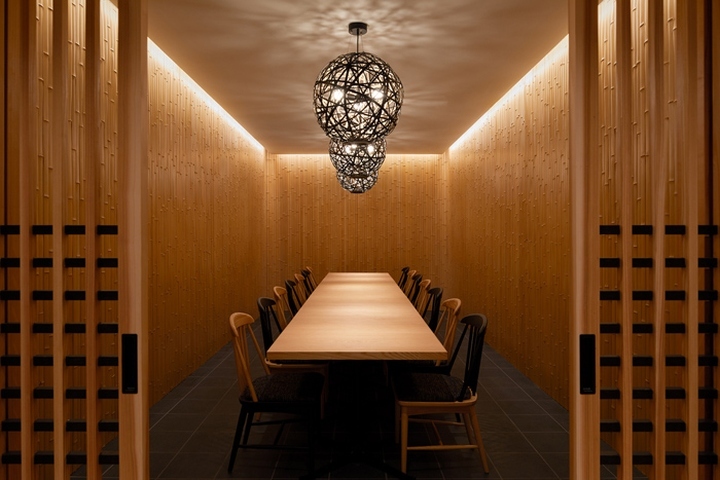 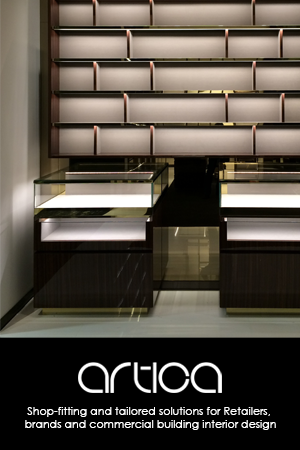 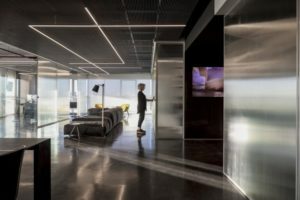 These fixtures are put rhythmically with contrast in the spacious space. 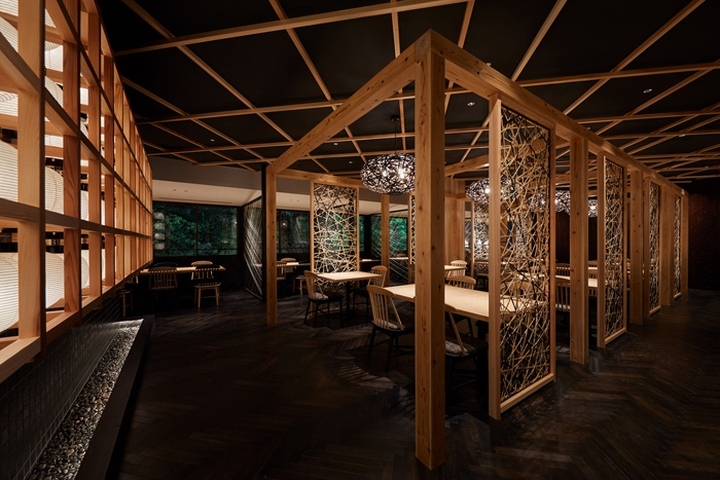 Also, the buffet area and dining areas are sectioned with lattice form partition decorated with more than 500 Yame lanterns, which make a sense of unity allowing people feel the other sides between the lanterns. 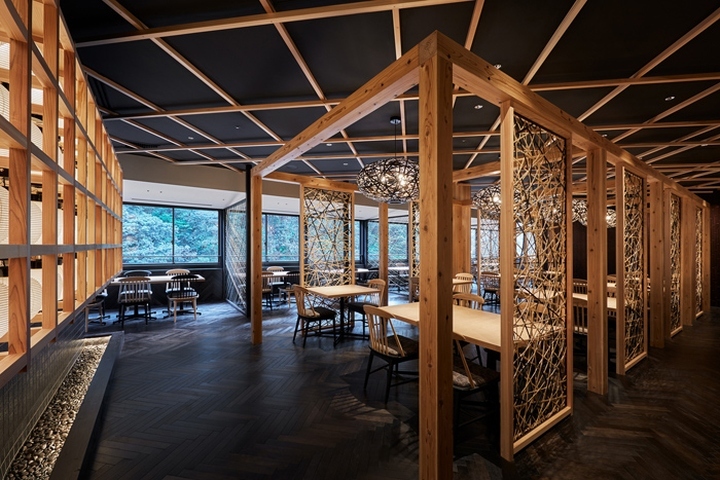 Tsuetate Onsen is famous for its townscape with Tsuetate River, where you can enjoy carp streamers swimming in the sky during Koinobori festival. 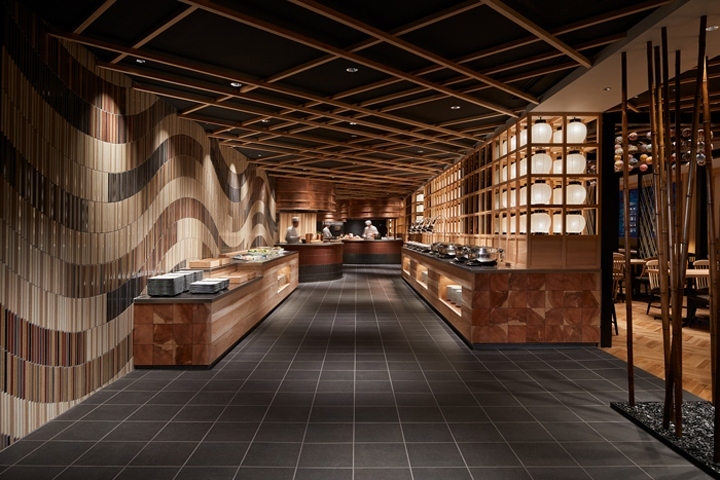 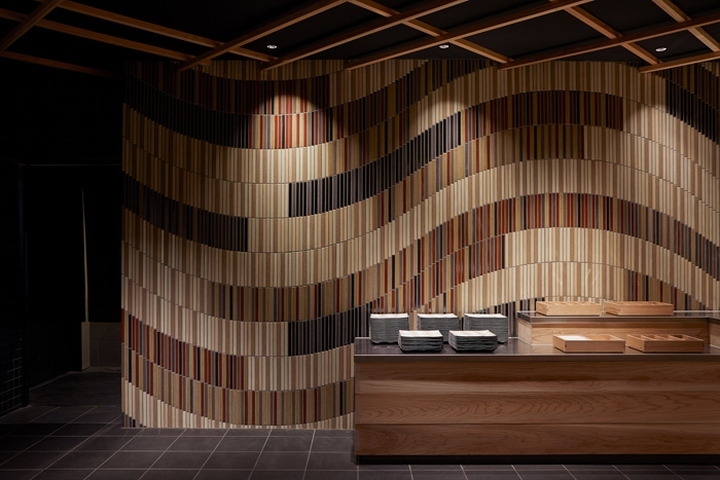 The buffet area also shows its originality with the graphical tile walls with images of carp streamers. 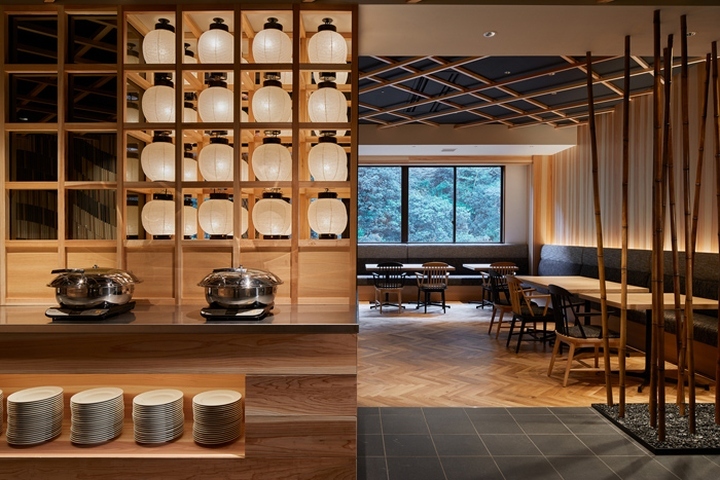 Every local ryokan and hotel has its originality for its location, and it is important to make meanings in those accommodation for which visitors to come to visit these places. 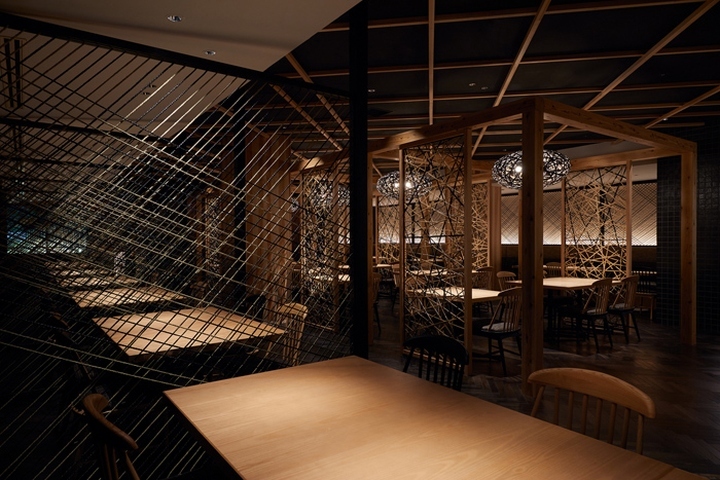 This was the project that reminded us of that. 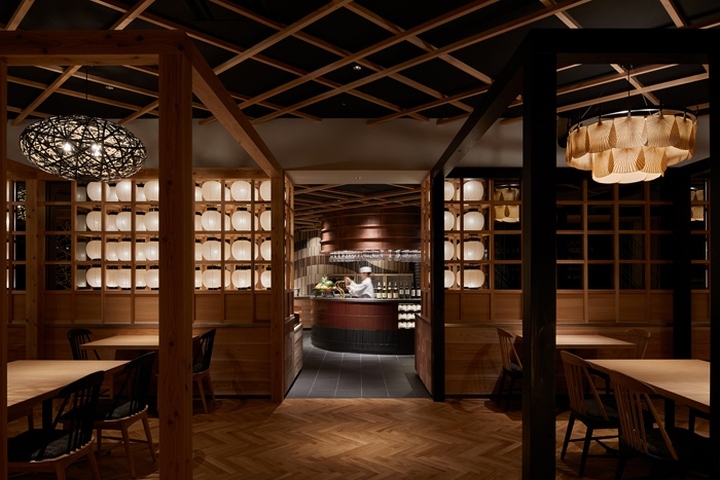 Photography by Nacasa & Partners Inc.